Interviews with Sisters Vida McLaren and Estelle Thompson at Toowoomba Base Hospital on 26 November 1993. My full name is Vida Kathleen McClaren. My maiden name was Vida Walker and people called me, “Johnnie Walker”. My full name is Estelle Dulcie Thompson (maiden name Taylor) but known as 'Warne' Taylor as so many other Taylors round the hospital. Both of us trained at Toowoomba Base Hospital between 1950 and 1956 but Estelle had done Child Welfare training in Brisbane beforehand. Both of us lived at the nurses’ quarters now known as Cossart House. We had no choice whilst training, nor were we allowed to get married. We were allowed out on days off only once per month - allowed out until 1.30 a.m. Rounds were done to check whether you were in your room! If you were not then you were required to see Matron next morning. There were also night nurse’s quarters located where the Thoracic Annex is now placed. When on night duty we moved into the night nurse’s huts. Matron Fountain did a round weekly at about 10 a.m. so we had to get up, strip beds and fold mattresses over and wait up half asleep until rounds were done. Horrific! There were also gardens there where both vegetables and flowers were grown. Demountable huts were also there which were called Rec. huts. Junior nurses later graduated to these huts from Cossart house. Estelle lived at Freshney House for 12 months. 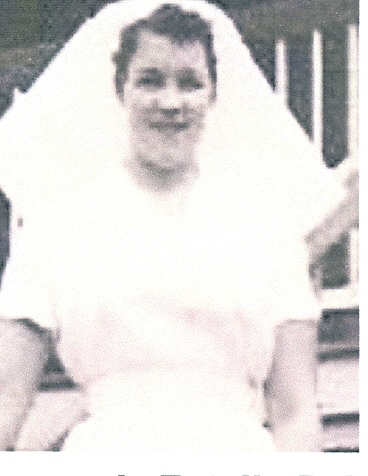 Vida lived for 12 months prior to finishing training in the house in James Street which was bought by the hospital. Cossart House was a freezing place to live. As nurses only had two blankets each, they used to sleep together. From as few as 2 to as many as 7 together to keep warm! The nurses often slept with stockings on to get a quick start to work in the morning. Nurses were woken at 5.30 a.m. by a night nurse. A towel was left over your door if you wanted to be woken. We commenced training with khaki uniforms. They must have been left over from the war. They were greenish khaki with stockings, brown shoes, navy cardigans and caps. The caps had little cuts for each year of service. We graduated to white uniforms in year of seniority. No men were allowed near rooms in any circumstances. The annual ball was held in the dining room of Cossart House. Estelle met her future husband at one of these occasions. [We had] very basic meals, [were] always hungry [and] used to acquire food. Every Thursday's breakfast was liver and bacon which Vida hated. The menu never varied. Estelle used to enjoy the saveloys from the West Street store. Matron Fountain was matron at the time. She was a wonderful lady. If problems occurred over the weekend with nurses they had to front up on Monday. As many as 12 at a time did so. Matron's office was located where private practice is now placed. Estelle's pay was 26 shillings per week but [there was] not much left after paying for breakages such as syringes and thermometers. Vida's pay in 1956 was 7 pounds per fortnight but [she] had to buy expensive stockings out of it. - No ladders allowed! In front of the nurses quarters, now Cossart House, was a big circular drive with palm trees. 'D' ward was a men's ward first but later was divided into male and female. The building is now used for storage and has wunderlich ceiling. 'E' ward was a medical ward for females and has now gone. The medical superintendent's house was a lovely old building which had a tennis court. The isolation ward fronted Diagonal Street and housed patients with tuberculosis, diphtheria, whooping cough, polio, tetanus, gastro, etc. There were always half a dozen T.B patients. The isolation ward was a dreadful place to nurse tetanus as surrounds were so noisy. Nurses had to take off their shoes and creep around. Dr Woodbum, paediatrician, was wonderful with kids. He would stop up all night with them. Whooping cough was dreadful for babies. We used to nurse them in steam tents which were placed over their cots. Steam kettles were placed in the tents but sometimes these played up and made a wet mess of baby, nurse and bedding. The foundry made a lot of iron lungs for the Hospital. There were hundreds of polio patients here. It hit all age groups. The worst hit were the young men of Toowoomba Grammar and Downlands Colleges. Mt Lofty was used for some rehabilitation because of the overflow of patients from the Hospital. The big polio outbreak occurred in 1951 with a smaller outbreak in the late 40's. The patients were usually nursed in the Isolation Ward for about 6 weeks whilst still contagious. Conditions wer overcrowded with 40 patients where there should have been only 10. Lumbar punctures were carried out on the ward. Some patients went to Mt. 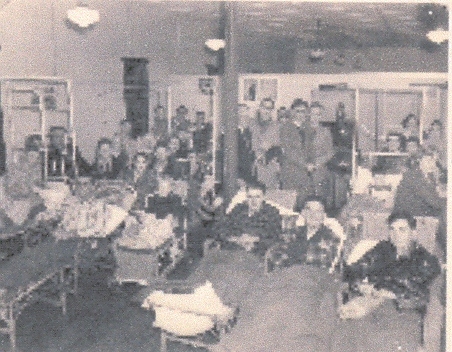 Lofty, whilst others were scattered throughout the hospital after the contagious stage. When in the infectious period in the Isolation Ward, the Sister Kenny method was used for treatment. Old blankets were put into hot tubs and then put through the wringer. They were then placed in macintoshes and rushed to the patient. The patient was wrapped in the hot blanket and then placed in a macintosh. This treatment was carried out on each patient every 4 hours. No wardsmen were around then to give assistance and patients were completely paralysed. The work was extremely hard. Official duty hourse were 6 a.m. to 3 p.m. but we often worked 4 a.m. to 6 p.m. with study and/or lectures in our own time. Nurses had to was all dirty linen before sending it to the laundry. There were not enough iron lungs for people who needed them. When the frequent power breakdowns occurred, the bellows on toop of the iron lungs had to be pumped by hand. The isolation area was wet mopped through by the nurses every day of the year. Other wards were swept by the nurses after meals. Lockers were all done by nurses. These duties are now done by domestic cleaners. At Mt Lofty, nurses had to splint arms and legs as part of the rehabilitation program. This was done several times daily. Patients also had to be placed in tubs of tepid water for exercises. This was very heavy nursing as we also had to get patients on and off bedpans, etc. It was amazing that more nurses didn’t get polio. They were supposed to wear cloth masks all the time but some didn’t bother. The polio era was very distressing. it was very sad to see the strapping young men and babies. Many died. Even now Vida is seeing those with post polio syndrome. Estelle holds a lot of photos of the 1950-4 period as well as her 4th year cap. Estelle said heroin was used as a painkiller in her time. Injection was given through a syringe after a tablet had been broken down with boiling water. Vida said that every person who was to be discharged was taken by a junior nurse to the Secretary’s office. They were asked whether they had any complaints about their hospital treatment and these were noted. Brian Sparksman, senior Catholic priest in Toowoomba had polio and Estelle carried him round on her back at times. There is no way you would address a doctor directly. Talk to your senior nurse first who would then talk to sister then the doctor. even if you were close by the doctor. Nurses had to stand up with hands behind their back when a senior nurse entered the room. Consultants at the time were Dr Rowe; two Dr. Hickeys, one of them Glen; Dr Harbison, of Russell St; Dr Woodhill; Dr Woodburn; Dr Furness; Dr Alex McGregor; Dr C.Morton & Dr Dickson. 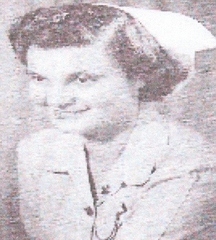 Vida left Hospital in 1956 but was appointed back in 1965 as a married woman. She was the first person in Queensland to be granted permission to be employed on permanent night duty. She worked in the TB./Thoracic Unit. She stayed there until 1972 and was then appointed to the Divison of Geriatrics at 6 Royal Street. 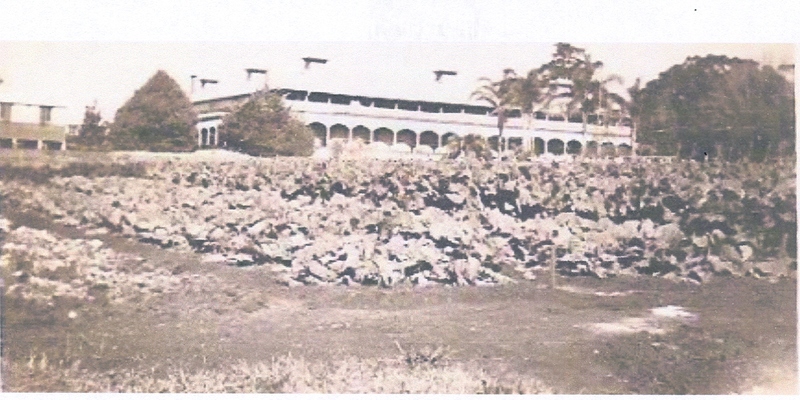 In 1978 she moved to Unara Community Health Centre at 9 Tourist Road, Toowoomba. Estelle finished at the hospital on 29 March 1954, the day that the Queen visited Toowoomba and the hospital. Estelle was interviewed by Aunty Dorothy of 4GR on that day. Estelle went to Augathella Hospital. She returned to do midwifery at Toowoomba Mothers Hospital and then was offered a position at the Specialist clinic at the hospital and remained there for 15 years. Estelle said that while she trained here it was almost obligatory for children to have their tonsils removed. Often 20 children were done at once. There was no recovery ward. Whilst still unconscious their tongues were clipped to prevent swallowing and the children were returned to wards like this through several other wards. It was a very busy and harrowing time in the childrens’ ward. Vida recalled nursing children with rheumatic fever. They were in separate rooms. They were nursed between blankets with no sheets. Their stay in hospital was about 3 months. ln the event of heart attack, patients were nursed in the upright position for six weeks. They were not allowed to move out of the bed or do a thing for themselves. You even had to feed them. The same procedure was used for people having eye surgery, lens extraction. They were nursed with their head supported by sand-bags to stop movement and both eyes were bandaged. You can imagine the care that nurses had to provide to presssure areas.